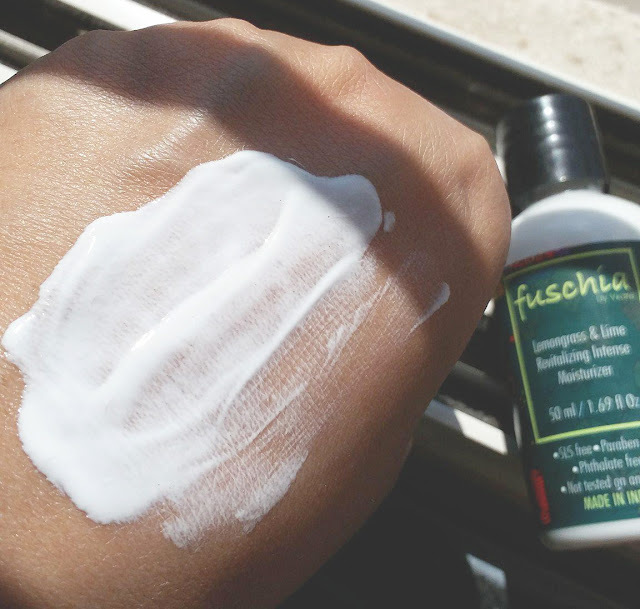 Fuschia is one of my favorite natural and organic skincare brand, I used their product before and my experience was very good. I was really pleased to see when I received some products for review purpose from one of my favorite cruelty-free brands. I've been testing their four products for the past couple of weeks. So, in Today's I'm featuring this four skincare products that for sure you love to try them out. Moisturizers are an integral part of my skincare routine all year round. I have a dry skin so I can't skin moisturizers for a single day. I have been using this moisturizer to moisture my face just after clean my face. Although most other moisturizer products are usually runny in their consistency, this one feels like a little thick and light cream based. 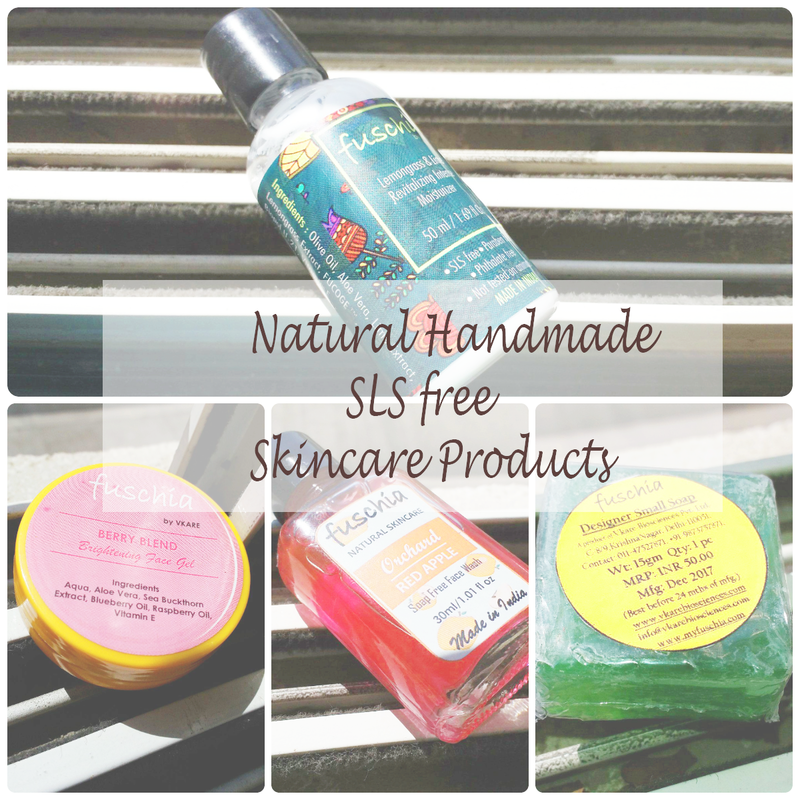 The consistency work like magic on my dry skin. I tend to use this in the morning as I feel it protects my skin throughout the day, and I love how my skin feels moisturized and smooth. It gets absorbed into my skin in a minute and leaves skin soft, fresh and hydrated. The vegan-friendly, paraben-free formula is enriched with Olive Oil, Aloe Vera, Lemongrass Extract, Lime Extract, FUCOGE, Biopol U-21, Vitamin-E to nourish and soften, making this moisturizer suitable for both morning and night use. 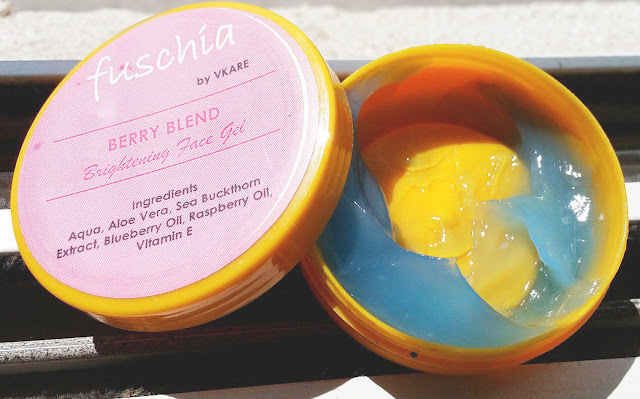 This Face Gel is a perfect fruity blend of Blueberries and Raspberries. This formula of this face gel boasts a 'powerhouse' of antioxidants that slow down the damaging effect of free radicals on your skin. I found that the texture of the hydrating face gel was just impressive. It is much lightweight when to attach to the skin. It was so easy to be spread on the skin, smoothly and evenly without leaving any slippery feeling or any sticky residue behind. The lightweight face gel has a medium consistency which is neither too thick nor too runny. It gets absorbed almost instantly. During application, the gel gives a nice, refreshing cooling sensation onto my skin. The gel designed to nourish, hydrate and liven up the dull and lifeless skin. To be honest it makes my face hydrated and moisturized as well. It's great for this summer weather in order to hydrate the skin because that is important to maintain your skin nice and healthy as well as protect your skin from overseeing with the hot summer sun after a day. This Facial Wash is formulated for all skin types (though it is not mentioned on the packaging) and promises to protect your skin from free radical damage. It features key ingredients such as red apples that loaded with antioxidants which help to lighten and brighten your skin. I have dry to combination skin and this face can very easily clean all the dirt from my face. I used this as my shower face wash. After using the face wash, one thing I noticed that it leaves the skin soft and clean. The formula of the face wash is gentle and mild very mild on my face and it doesn't leave the skin too dry or stretchy. For use, you need only a pea-sized amount to get a good lather going on with its liquid gel-like formula. 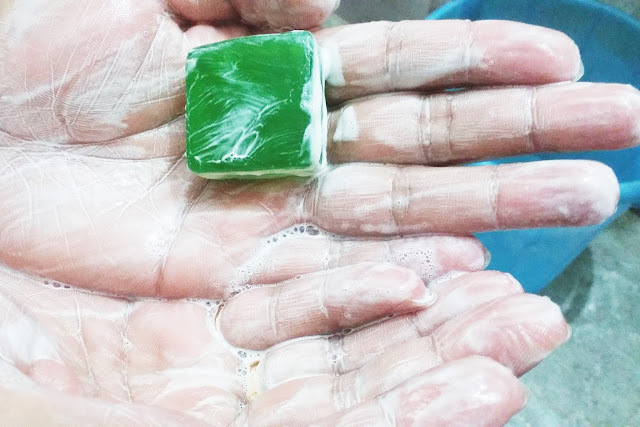 The best thing about this face wash, it is a soap-free face wash.
Hand Soaps are these days very much popular and Fuschia has a very wide range of handmade soaps. I have been using this soap for a week now. The best part of this soap that it doesn't leave the skin too dry or stretchy. When you apply it to the skin, it immediately provides hydration to your skin and leaves skin silky and smooth. It has a very strong natural aroma of lemongrass, it lathers rather nicely too and seems to have a good effect on the skin as well. These all four products infused with 100% natural and vegetarian ingredients and yes, free of SLS, parabens, phthalates, artificial tints and synthetic perfumes. I really like their packaging all cames in a sample sized packaging. You can view all of their products on Amazon and their online site. The moisturizer sounds amazing and the fragrance would been so awesome. I have tried the berry blend gel and interestingly it is pink in colour for me. I have tried their charcoal range and loved the products. 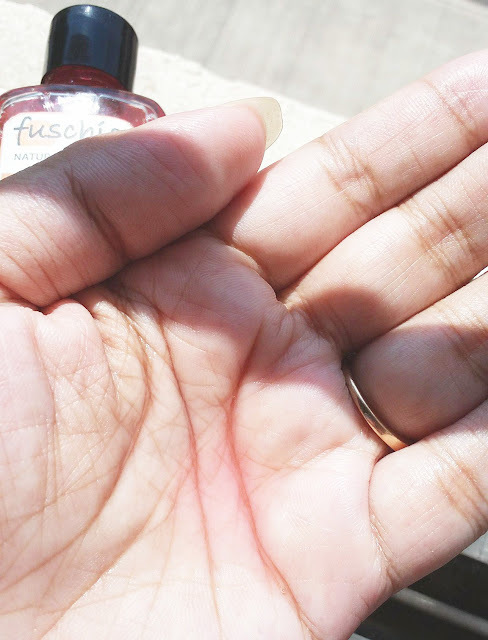 I love the skincare range of Fuschia .. I love their soaps especially.. The moisturizer seems great to me though..